IBPS has extended the examination dates for PO exam. The examination is now expected to continue till 27 October. IBPS PO Admit Card has been released as well! Candidates preparing for the forthcoming IBPS PO/MT CWE 6 which will begin on 16 October can now download the same at ibps.in or else from the link given here. 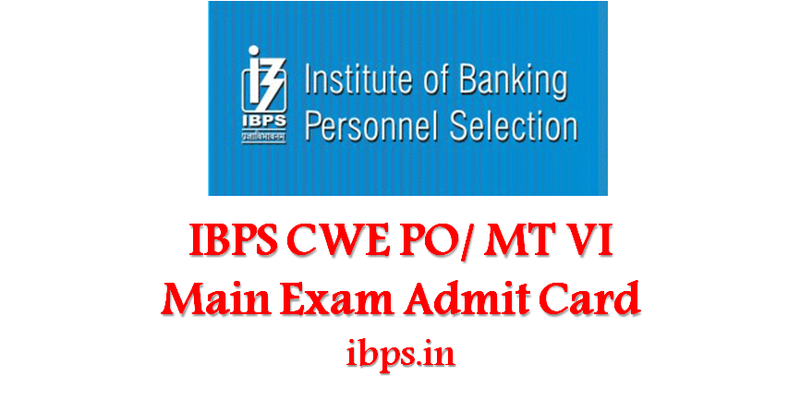 Institute of Banking Personnel Selection / IBPS will conduct preliminary examination for recruiting candidates to PO posts. The exam is scheduled to be held on 16, 22 and 23 October. However the recent update reveals that IBPS has allowed candidates to download admit card till 27 October. Therefore it is obvious that the IBPS PO Exam 2016 will continue till 27 October for many candidates. Candidates, who are ready to appear for the prelims exam on the above mentioned dates can get precise details about the exam pattern here. The exam will comprise of a total of 100 questions each carrying one mark. Candidates will be allowed 60 minutes for the IBPS PO Prelims exam. Candidates have to qualify in each of the three sections by securing cut-off marks to be decided by IBPS. Candidates should also take care of certain important things before entering the examination hall. Candidates should carry valid call letter for the respective date and session of the exam, photo identity proof and its photocopy. IBPS PO Prelims exam is of 01 hour duration and candidates may be required to be at the venue for about 2 hours or more including the time required for completion of various formalities such as verification and collection of various requisite documents, logging in, giving of instructions etc. About IBPS PO CWE 6: IBPS will conduct Common Written Exam / CWE 6 for recruitment to the posts of Probationary Officer/ Management Trainee will be held in two phases: prelims and mains. Only those candidates who qualify the main exam will be eligible to appear for the interview.